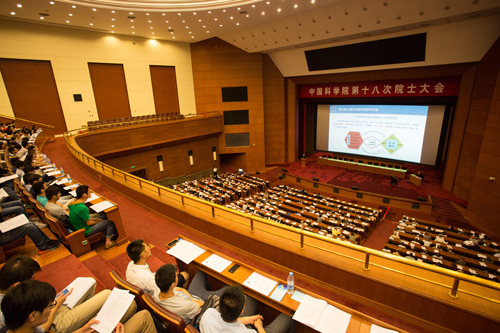 As a comprehensive and large national scientific institution, the Chinese Academy of Sciences (CAS) comprises three major parts -- a comprehensive research and development network, a traditional merit-based academic society like US NAS and a system of higher education. The merit-based part of CAS is represented by the Academic Divisions of the Chinese Academy of Sciences (CASAD). 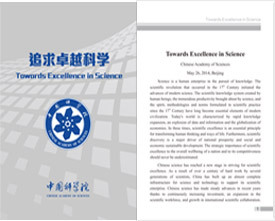 Founded in June, 1955, six years after the founding of CAS, CASAD has served as an advanced national think-tank to the Chinese Government on major science and technology issues. The General Assembly of CAS Members is the highest organizational form of the Academic Divisions of the Chinese Academy of Sciences , and shall be convened biennially , usually in the first week of June in an even-numbered Gregorian calendar year .